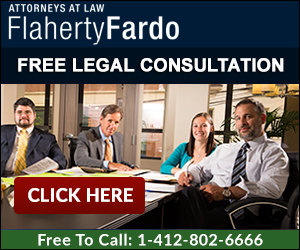 The debt collection law firm of Flaherty Fardo, LLC regularly updates our PA debt collection FAQ’s (frequently asked questions) for our clients and potential clients. What is Pennsylvania debt collection? What is the legal process for collecting? How do I file suit? What do I with the judgment? How long are PA judgments valid for? What do attorneys charge to collect? How do you enforce the judgment? How do you find assets to collect on? Does your firm cover the entire state of PA? Do you represent law firms in other states? Do you pay referral fees to out of state lawyers? Question 1: What Is Pennsylvania Debt Collection? Pennsylvania debt collection includes collection of money owed from one individual or business to another. Question 2: What Is The Legal Process For Pennsylvania Debt Collection? If you or your business is owed money, there is typically a 3-step process to Pennsylvania debt collection. Step 1 is the demand letter. There are federal and state requirements when demand letters are written from debt collectors. The demand letter typically includes:the name of the creditor;the amount of the debt;the opportunity to dispute the debt, and/orthe opportunity to request written verification of the debt. Demand letters also often include a deadline by which to respond or pay. Demand letters are NOT a prerequisite to filing law-suits in Pennsylvania. However, a well-drafted demand letter is a viable option for collecting pre-suit. Payment plans prior to filing suit can also help pay for the cost of the lawsuit, if necessary. If a demand letter does not produce payment, then legal action is usually necessary to collect. Pennsylvania Debt Collection is a strategic game that requires skilled attorneys to collect. If you want to collect Pennsylvania debt, then most often a civil lawsuit is necessary. The process involves filing a complaint in civil action requesting JUDGMENT against the defendant (debtor). If the debtor disputes the allegations of the complaint, then the defendant can file an ANSWER, AFFIRMATIVE DEFENSES, and/or a COUNTERCLAIM. Depending upon where the lawsuit is filed (i.e. magistrate, county arbitration, county general docket), there can be multiple appeals available for the defendant to delay. There are strategic decisions to determining where to file and the most efficient way to collect. Although a money judgment acts as a lien on all real property in Pennsylvania, it does not guarantee payment of the debt. Most often, enforcement of the judgment is necessary. The goal of the lawsuit is to not just obtain a money judgment, it is to collect the money owed. To collect on the money judgment, sometimes it is necessary for creditors to force a sheriff sale of personal property, real property, vehicles and/or assets of the debtor. Also, seizing a bank account can be the most effective way to collect your money. Pennsylvania is a debtor friendly state because marital property is exempt and wages cannot be garnished (absent very limited circumstances). Please read more below on How to Enforce Pennsylvania Judgments. Question 6: How Long Are Pennsylvania Judgments Valid For? Pennsylvania judgments are valid for 5 years. Judgments can be revived every 5 years. Judgments also act as a lien against real property for up to 20 years or longer if properly revived. Question 7: What Is The Statute Of Limitations For Contracts In Pennsylvania? Most debt collection cases stem from a breach of a written or oral agreement or contract. The statute of limitations for breach of contracts in Pennsylvania is 4 years from when the party knew, had reason to know or should have known of the breach. Accordingly, payment of a debt can toll or extend the statute of limitations from the time of the last payment. Question 8: How Do I Know If My Debt Collection Case Is Collectible? The answer is you may not ever know until you try. You can do background checks to determine assets, vehicles, bank accounts etc. However, Pennsylvania debt collection is not a game of certainty. Many times, we will collect debt on cases we thought may be difficult, and other times individuals with plenty of cash are able to avoid debt collection. The keys to collecting are patience and consistency. Once you obtain the money judgement, you need to be smart about how much you will pay in attempting execution on the judgment and about what other options are available. Each case is different, but more often than not, debt can be collected if the party remains persistent. Also, it is critical to do pre-lawsuit investigations on websites such as Pennsylvania Corporate Name Search; Facebook and/or Linkedin. Question 9: What Do Debt Collection Attorneys Typically Charge In Pennsylvania? Debt collectors in Pennsylvania include both attorneys and non-attorneys. Most Pennsylvania debt collection attorneys offer services on hourly, flat fee, and/or contingency fee arrangements (meaning they do not get paid unless they collect). Depending on the specifics of the case, we offer hourly or contingency arrangements for our clients. Depending upon the age and/or amount of the debt, most contingency fees range between 25% to 50%. Many collection firms will charge clients 50% of the debt recovered, and then hire law firms at 25%. Most clients who are owed money are better off hiring attorneys directly. If you are considering hiring a debt collection lawyer, you should inquire about all three type of fee agreements. Question 10: How Do You Enforce Debt Collection Judgments in Pennsylvania? Getting a Pennsylvania judgment is not enough to collect on a debt and money owed to you or your business. Obtaining the judgment is only one step in the Pennsylvania debt collection process. Most attorneys can obtain judgment against debtors and defendants who do not respond to lawsuits. This is called the default judgment. Obtaining the judgment is usually the easiest part of the debt collection process. Pennsylvania debt collection means understanding Pennsylvania sheriff sales. The next step is executing upon the judgment. Pennsylvania does not allow wage garnishment except in certain landlord / tenant cases and only skilled Pennsylvania Debt Collection attorneys know what to do after the judgment is entered. Many attorneys, businesses and individuals have relied upon the expertise of our Pittsburgh law firm in collecting judgments they were all unable to collect. Each Pennsylvania county has different local rules for enforcing and executing upon judgments. Choosing the best execution strategy is important so as not to waste client’s money. The last thing most of our clients want to do is throw good money at bad money. Skilled Pennsylvania collection attorneys also need to understand how marital property and claims for exemption can affect execution of judgments. We often perform crucial discovery in aid of execution, including interrogatories in aid of execution and depositions in aid of executions to best ascertain the financial solvency of the debtors. This experience in executing and enforcing upon judgments gives our clients the best advantage for collecting their money owed. You need an experienced Pennsylvania debt collection attorney if you are going to collect on a judgment in state or out of state. We fully evaluate the possibilities of bankruptcy, claims for exemptions, and the ability to hide assets in every case. We offer free consultations at all levels throughout the litigation process, and we are often eager to assist in enforcing judgments, which have already been entered. We are also able to assist with judgments entered in Pennsylvania magistrates’ offices. There is a distinct process for entering magistrate judgments with the county courts and you need experienced debt collection attorneys to collect. For a free consultation call Noah Paul Fardo, Esq. or Shawn T. Flaherty, Esq. at our offices at 412.802.6666 or toll free at 1.877.744.3476. Question 11: How Does Flaherty Fardo Collect Debt? When the collection agencies cannot collect a debt, they call our Pittsburgh law firm for help. Since 1999, we have helped creditor’s recover monies and debts for student loans, defaulted mortgages, and everyday account receivables including money loaned. We are also experienced in enforcing Pennsylvania judgments. These days, small business owners cannot afford not to be paid for their goods and services. We have helped our business clients engage in pre-litigation, litigation and post-litigation strategies, including repossession, seizure of bank accounts and sheriff sales of personal and business property. There are times for filing suit in collections and there are times to negotiate. We help our clients make the best overall business decisions to collect their money fast. Our experience as Pennsylvania debt collection attorneys has helped us collect for all types of individuals and businesses. Question 12: How Do You Find Assets To Collect On? We are skilled at tracking defendants and their assets. Our computer research allows us to track individuals, corporations and to inventory their assets. We routinely hire skilled private investigators to research the location of assets, vehicles and bank account information. When debtors hide, our hired investigators find them. We have personal items repossessed and will authorize the repossession of vehicles in appropriate cases. We collect large sums of money by garnishing and seizing bank accounts. We are also aggressive litigators if need be. Debtors lie. If you are going to collect debt in Pennsylvania, you are going to be lied to. It takes experience in dealing with debtors, to understand when they intend to pay versus when they are misleading you. We can be compassionate if it makes sense for our clients. This is fine line that only experienced Pennsylvania debt collection attorneys understand. If you or your business is owed money, speak to our Pennsylvania Debt Collection attorneys Noah Paul Fardo, Esq. or Shawn T. Flaherty, Esq. today for a free consultation at 412.802.6666. Question 13: Does Your Law Firm Cover The Entire State Of Pennsylvania? Yes. We offer legal services in every county in Pennsylvania and have the knowledge, skill and expertise to collect debt from even the most difficult debtors. We spend considerable time ensuring that we are familiar with the local rules of each of the 67 counties in Pennsylvania so that our national clients do not need more than one law firm in Pennsylvania. Our current national clients, including large banks and student loan agencies, have trusted us for over a decade to collect their outstanding debt and monies owed. We keep clients because we produce results. We offer our aggressive services on a contingency basis, hourly basis, and/or a flat fee depending on the prospects of collection and the wealth of the defendant debtor. Question 14: Do You Represent Out-of-state Clients? Yes. Flaherty Fardo, LLC works with law firms and collection agencies all over the United States in transferring judgments and in collecting Pennsylvania debt. We have assisted law firms from all over the country including Texas, California, Arizona, Florida, Maryland, Ohio, West Virginia, Colorado, and Michigan in collecting Pennsylvania debt. We act as general counsel for the entire state of Pennsylvania for student loan agencies, banks and mortgage companies. Out of State law firms have relied upon our collection law experience and consistency in handling their Pennsylvania debt collections since 1999. We take each and every debt collection case seriously, and will often stay on cases for years, renewing the judgments after 5 years, if necessary. Question 15: Will Your Law Firm Pay Referral Fees To Out-of-State Lawyers? Yes. We offer reasonable contingency fees to ensure that out of state law firms and collection agencies are able to profit as well through our efforts. When contacted by out of state law firms, we realize that their reputation is also on the line. The out of state law firms also have clients to answer to. We also believe that out of state law firms making the referral should profit by the referral. This method and belief has helped us form relationships all over the country and has led to a number of additional referrals for our Pittsburgh law firm. We offer free consultations and will gladly research the debtors assets free of charge before discussing potential representation.